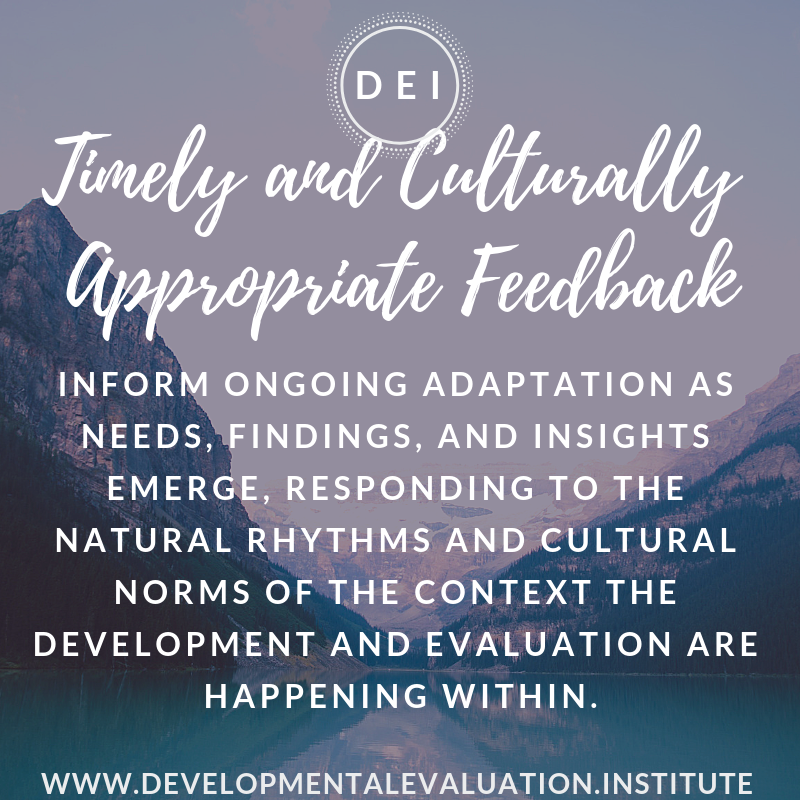 Informs ongoing adaptation as needs, findings, and insights emerge, responding to the natural rhythms and cultural norms of the context the development and evaluation are happening within. Timeframes in Developmental Evaluation need to be matched to the rhythms of the initiative - so situational responsiveness is an imperative. It’s important to think creatively about what an evaluation process or product might look like, taking cues and guidance from the context and situation. Increasing credibility and use usually requires forms of expression that map to the context. What will ‘good’ delivery of feedback look like in this context? What will be needed to ensure feedback is culturally appropriate?